American Canine Institute & Kennels offer talks on Training, Behavior, Canine Good Citizenship, Temperament and many other dog related topics. We also conduct Temperament and Canine Good Citizen trials. Robert (Bob) Vance is the founder and owner of American Canine Institute & Kennels. 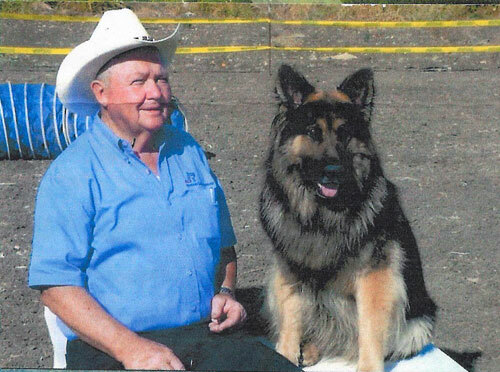 Bob began training in 1959; he has been involved with many Dog Associations, Dog Clubs and various Police agencies and associations over the years. He is an experienced Master trainer and behaviorist for all breeds of dogs. Marian Stevenson is an American Canine Institute & Kennels business associate, and medication provider. She books boarding reservations and training classes. Steve Stokes is one of our most versatile trainers. Steve excels in private Instruction. Steve is an expert at design and installation of electronic fencing; he works with our clientele to meet their every need. Steve also runs our Pet Taxi service. Ray Bell is a certified dog trainer. Ray specializes in AKC obedience, temperament, Good Citizen and agility disciplines. Ray owns Ray-An Shepherds and has been breeding top quality German Shepherd dogs for many years. Alan Levens is an experienced trainer and behavioral consultant at A.C.I... He specializes in all of the Schutzhund training disciplines. Alan completed a rigorous trainer's course for the Schutzhund sport in Germany by one of the fore-most respected Master trainers in Germany.